Your donations spent sensibly. Never give up on your dreams, because then you have a chance that they may be fulfilled. 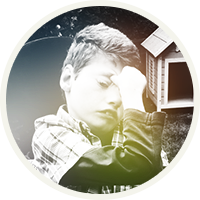 Shortly before Easter 2014 and after a long wait my son Daniel finally received a new wheelchair. His previous wheelchair was completely destroyed in a faultless traffic accident involving his taxi-bus in December 2013. This led to us facing an even greater problem, which I alone could not solve. 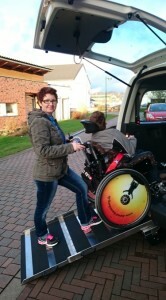 The new wheelchair was too big for our private cars and it was also very difficult for me to push it into the car. As a result, we were only able to undertake short and absolutely necessary trips with the car, which immensely restricted our movement and made visits to doctors and clinics more difficult. 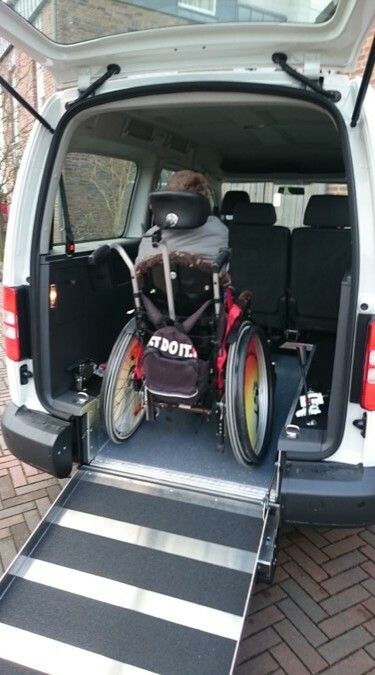 A car with the capability to transport such a large wheelchair with the necessary modifications is expensive and was simply beyond my budget. 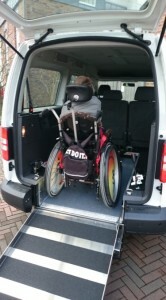 I dreamt of a VW Caddy Maxi with modifications for a disabled person, a car totally suited to our immediate needs. I dared not to hope, that this wish would ever come true for us. BUT: Thanks to a lot of loving and caring people and friends, clubs and associations from Weeze and Wemb, who donated so much on the Sunday of the Kirmes in the park on Fährsteg, the dream really became a reality. Further financial support for me and Daniel came via the charities „Ein Herz für Kinder“, „Lichtblicke“, „Otto und Lonny Bayer Stiftung“, the National Office of the President, the banks Volksbank an der Niers and Verbandsparkasse Goch-Kevelaer-Weeze as well as the REWE store. 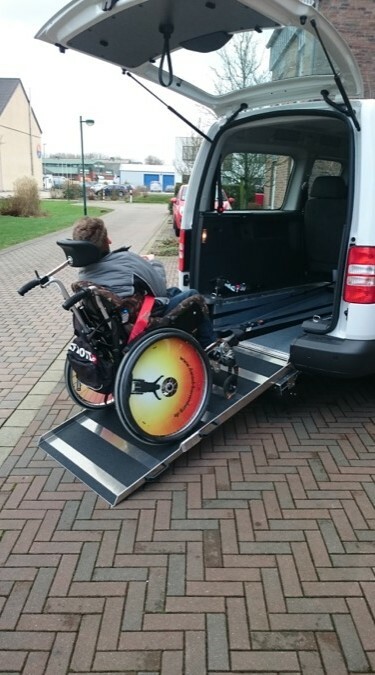 Now we will be able to travel together again and with the aid of the integrated winch it will be a lot easier for me to get Daniel’s wheelchair into the car. It is a nice feeling to know, that even in today’s fast-living world there is still room for sympathy, helpfulness und kindness. It is difficult for me to put what I feel into words. We are so happy and grateful and would just like to say thank-you to all those who have so kindly helped us. It was a real „community project“. To you all a warm and heartfelt „thank-you“.